November 10, 2015 at 7:00 p.m.
September 11, 2015 at 7:30 p.m. When Dr. Tom Martinson, professor of religion, learns of a devastating school shooting in a remote, war-torn village, he opens class with an impassioned and improvised plea for peace. This angers student Wayne Mooreland, who openly identifies as a veteran of Afghanistan. After a recording of the lecture goes viral, Martinson finds himself the target of hostile threats from strangers both home and abroad, forcing the involvement of university administration and campus police. Officer Rogelio Cortez, veteran of Iraq, is assigned to provide security for Martinson—an assignment complicated by his military kinship with Mooreland. As Dr. Jackie Edwards, dean of humanities, navigates the crisis, she struggles with the rights of students versus those of faculty members—all while balancing the complex needs of the modern, corporate university. While scolding Martinson for his lack of discretion, she rues the lack of a trigger warning policy intended to warn students of traumatic subject matter. Martinson protests and the relationship between these friends becomes strained, along with long-standing principles of academic freedom and professorial authority in the classroom. Mooreland reveals his desire to become a military chaplain, which leads to a battle with Martinson over theological differences and the future of his degree. As the clash intensifies, they find themselves in the center of a firestorm over matters of faith and freedom—highlighting the potentially volatile relationships among faculty students, administration and the public. 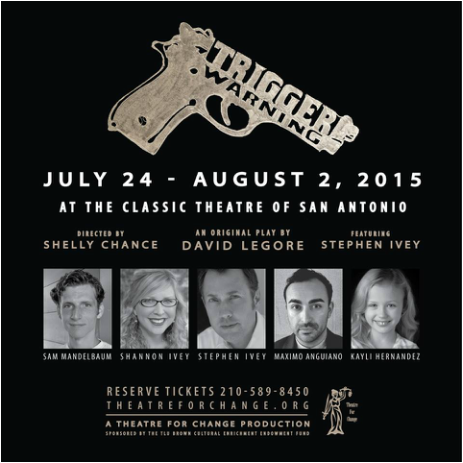 David Legore is a professor and department chair of dramatic media at Texas Lutheran University in Seguin. He holds a M.F.A. in Theatre, Directing from the University of South Dakota with recent credits as a designer and actor in Seguin and San Antonio theatre productions. Stephen Ivey is a co-founder and the treasurer for the Theatre for Change executive board. He originally began his career as an actor, and has performed professionally in regional theatres, films, and commercials. After receiving his master’s degree in acting from the University of California-Irvine, he moved to Los Angeles where he began working as a talent manager. During his tenure as a manager he has represented top writing and acting talent in film, television, and theater. He has taught acting, voice & speech, stage combat and the business of acting at various venues across the country, including UC-Irvine, Westminster College, Pacific Conservatory for the Performing Arts and Texas Lutheran University. In 2012 he founded Ivey Entertainment, a talent management company that represents actors and writers in the Los Angeles area. Sam Mandelbaum most recently performed at the Tobin Center for Performing Arts in Attic Rep's production of The Irish Curse. Previous work include the roles of Prince Hamlet in Wittenberg (Playhouse) and Algernon in The Importance of Being Ernest (Classic), as well as directing Firefly Thing for Luminaria 2012. He holds a BFA in Drama from the University of North Carolina School of the Arts and maintains a private practice as a Licensed Massage Therapist. Shannon Ivey is the founder of Theatre For Change and president of the executive board. 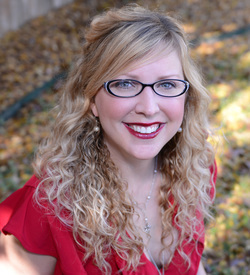 Shannon is a child advocate, actor, director, writer, assistant professor at Texas Lutheran University, a foster mother, and an active proponent for Theatre for Social Change. Her life’s passion is connecting the stories inherent within theatre, film, and new media to the messages of nonprofit organizations. Shannon has worked professionally as an actress, director, and writer in Texas, New York and Los Angeles. She is a proud member of SAG, AFTRA and AEA. Maximo Anguiano is a creative, scholar, and personality. Most known for his role in the 2014 smash hit and critically acclaimed play, Jotos del Barrio, Maximo is delighted to be working with Theatre For Change again after appearing in the 2014 short film, La Llorona. 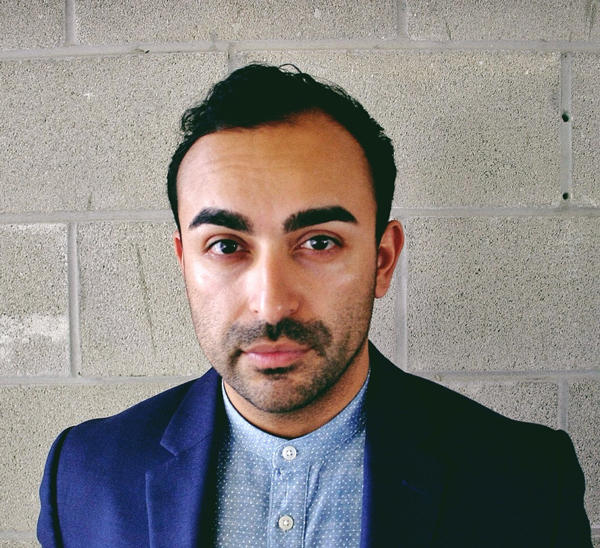 Maximo studied English at Grand Valley State University (MI) and has honed his creativity through various endeavors such as spoken-word poetry, writing, acting, engaging speeches, and political commentary. Maximo enjoys inspiring audiences, storytelling, and facilitating ideas to change the world. 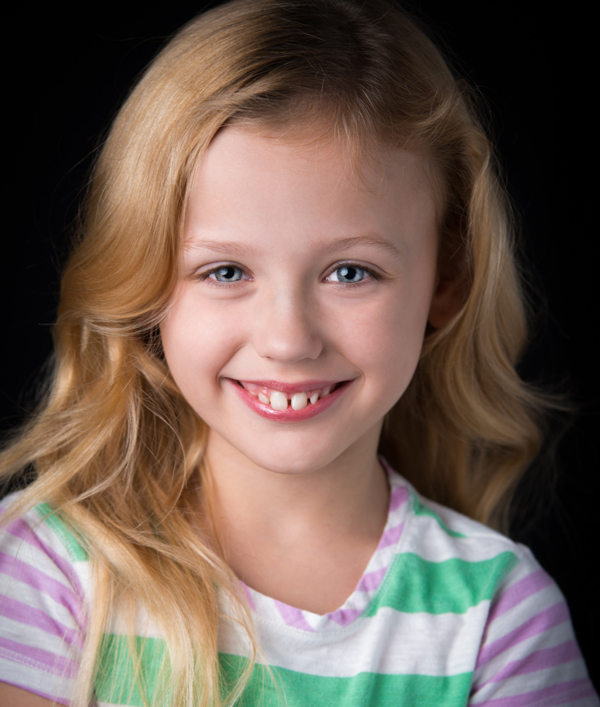 Kayli Hernandez started acting at the young age of 5 years old for both theater and film. Kayli has performed in many theater productions in several theaters in San Antonio and most recently at The Rose Theater in You’ve Ruined a Perfectly Good Mystery. She has also performed in many film roles to include The Babysitter Murders that recently premiered and won both the jury and audience awards at the Stanley Film Fest. In addition to acting Kayli enjoys dancing, singing, swimming, reading, playing with her pets, and helping those without a home. Kayli would like to thank her mom for chauffeuring her, the cast members, and Theater for Change for the opportunity.